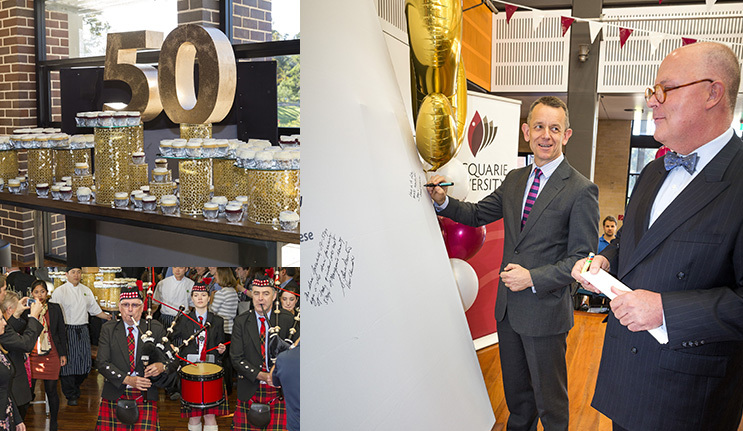 Fifty years after the proclamation of the Macquarie University Act in the NSW State Parliament on 12 June 1964, more than 500 staff celebrated the launch of our Golden Jubilee, reflecting on highlights of our first 50 years and sharing ideas for the 50 to come. She paid respect to our pioneering students, including those involved in wider social movements such as gender and racial equality, emerging environmental issues, and their powerful stance against the war in Vietnam. “Macquarie continues to promote these ideals of equality, and remains at the vanguard of science and technology,” she said. 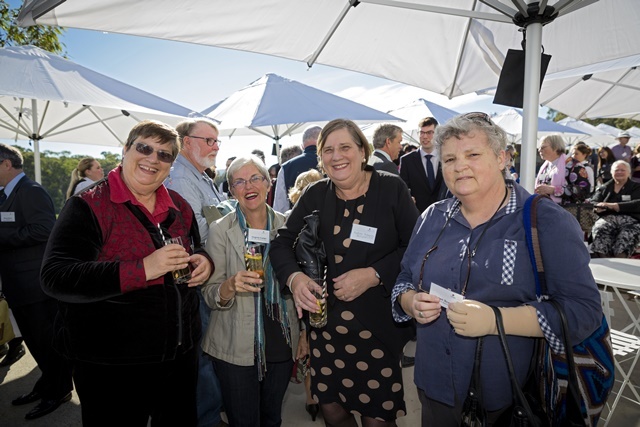 More than 250 of Macquarie University’s ‘pioneer’ alumni and staff from 1969 to 1977, recently reunited at a high tea-style morning tea at the Atrium Lakeside marquee, as part of the Jubilee celebrations. For many pioneer alumni, it was the first time they had been on campus since their graduation. Pioneer graduate and the University’s longest serving former staff member, Dr Brian Spencer ((BA (1970), BA (Hons) (1972), DUniv (Honoris causa) (2004)), spoke on behalf of the pioneers, reflecting on the University’s transformation from a smattering of buildings in a large green and brown expanse, into a world-class campus still supporting students to achieve their potential. He ended with some humorous recollections including the ‘great gnome hunt’ in 1970, which saw thousands of garden gnomes and other garden sculptures ‘somehow finding their way to Macquarie’ with ransom notes (for charity) planned for their owners. Throughout its jubilee year, Macquarie will endeavour to engage with its 150,000 strong alumni who are spread across 140 countries. Recently Vice-Chancellor Professor S Bruce Dowton hosted US-based graduates at a reception in New York to celebrate the University’s 50th anniversary, with similar alumni events set to take place later in this year in London, Hong Kong, Beijing and Shanghai. 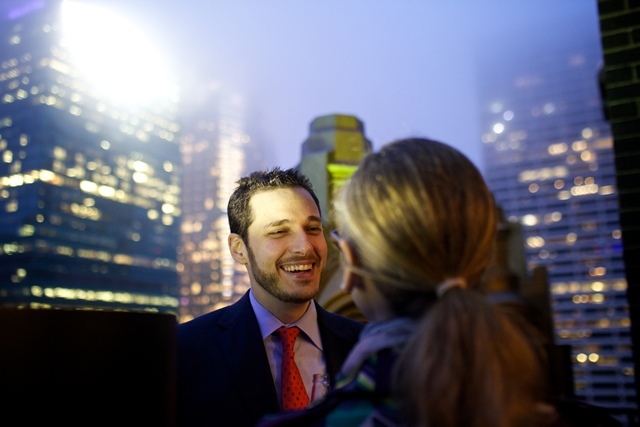 The New York reception was a first for the University and met with an enthusiastic response from alumni, who used the opportunity to build their networks and deepen their ongoing relationship with Macquarie. Deputy Vice-Chancellor (Corporate Engagement and Advancement), Professor David Wilkinson was the Master of Ceremonies at the event, which showcased the University’s recent achievements and updated alumni about key developments including the launch of the new Campus Masterplan. Over 500 supporters of Macquarie’s Motor Neurone Disease (MND) research recently came together for a cocktail party in honour of MND Global Awareness Day. With a performance by Stan Walker, fresh from touring with Beyonce, and special guest fitness guru Steve Willis (aka The Commando) accompanied by Michelle Bridges, guests dug deep to support Macquarie University’s Professor Dominic Rowe AM and the MND team to the tune of $240,000, including donations received before and after the night. If you would like to support this worthy cause, all funds raised go directly to the MND Clinic that supports MND patients to manage their disease, and to the MND Research Centre to find treatments and therapies to stop this terrible disease. Once again I have not been advised about any of the reunion functions involving the first students. The administration just cannot get it correct. I am very sorry to not have been invited to the Jubilee Pioneers high tea event in June. I worked at Macquarie from 1969 – 1982 then took a year or two off when I had my children. Returned part time from about 1986- 1990 then full time from 1990 to 2010. I worked in student administration in the Bursars Office from 1969 to 1990 then in the Registrars Office from 1990 to 2010. I am still here as an exam supervisor. I am very disappointed at not having any part in celebrating the University that I have been part of for 45 years.